Guru Nanak Dev Engineering College, Ludhiana achieved following positions in ranking survey conducted by different agencies for year 2017 on the basis of various parameters like Infrastructure, Faculty, Research, Admission, Placement etc. 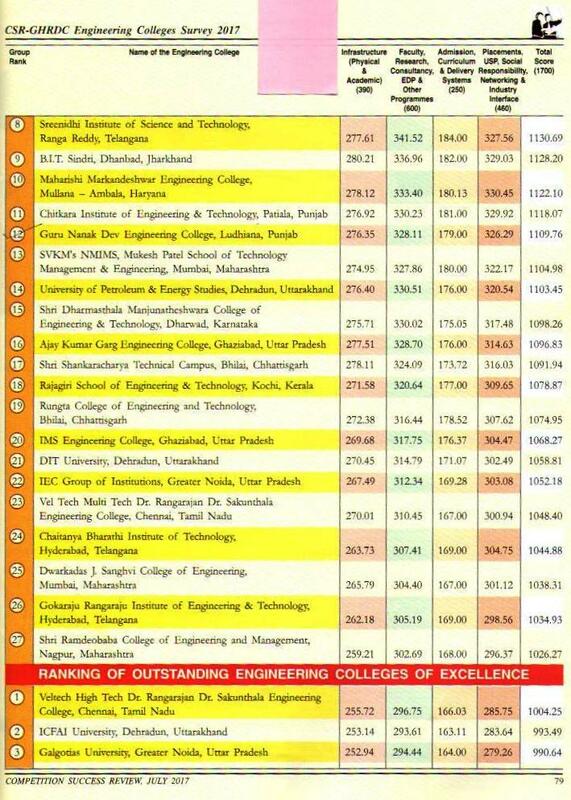 12th Position (National level) and 2nd Position (State wise) in category of Top Engineering Colleges of Eminence. 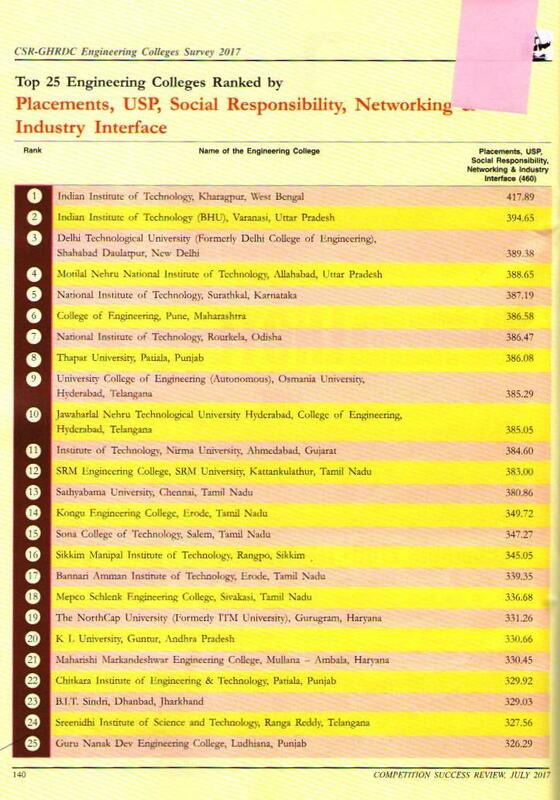 2nd position in category of Top Engineering College ranked by State. 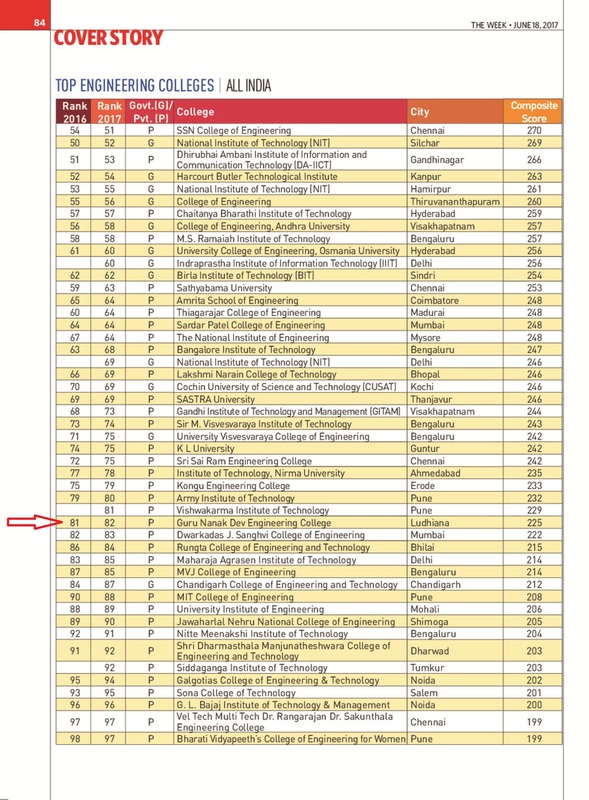 25th position in category of Top 25 Engineering College ranked by Placements, USP, Social Responsibility, Networking & Industry Interface. Rankings achieved in survey conducted by The Week Magazine. 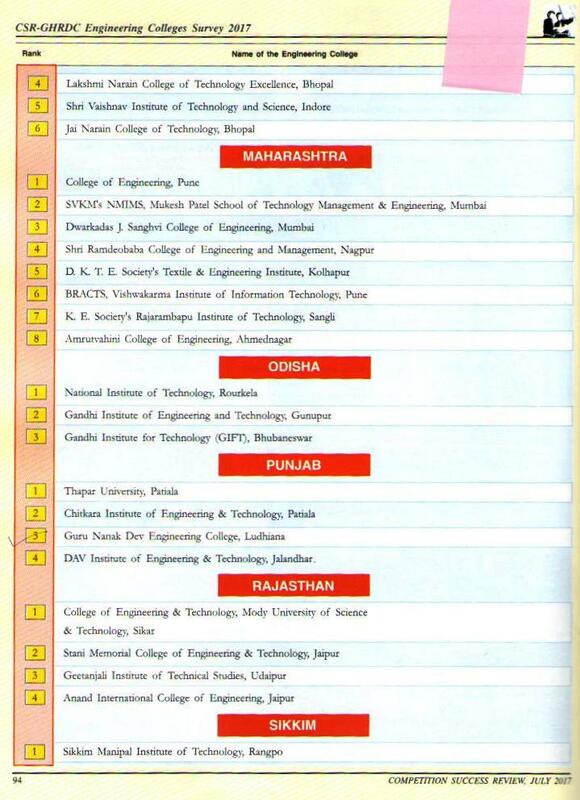 82nd position in category of Top Engineering Colleges (All India) including NITs, IITs. 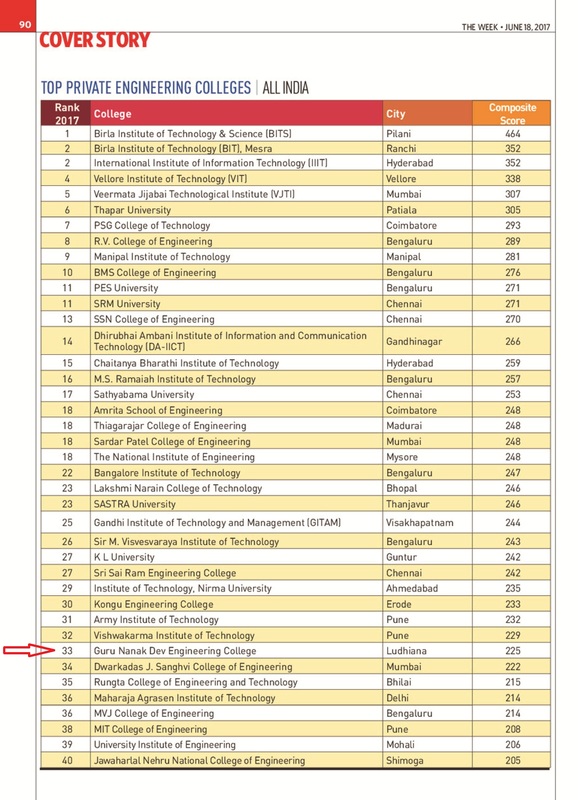 33rd position in category of Top Private Engineering Colleges (All India) including Universities. 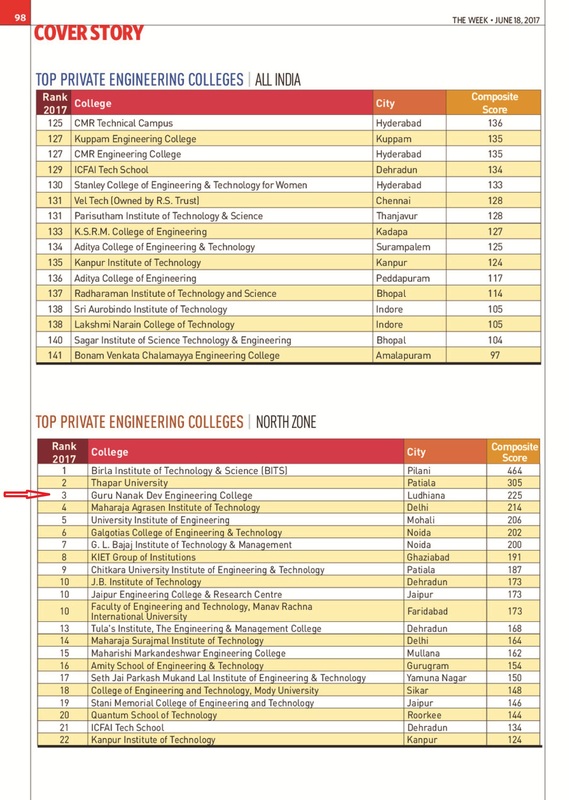 3rd position in category of Top Private Engineering Colleges (North Zone) including Universities.